I absolutely adore this motorhome and am happy others will get to enjoy it as much as I have. It has everything you need for a marvellous weekend away. It's an awesome motorhome and we hope you enjoy it as much as we have. Get out and enjoy this beautifuly country. This is a motorhome that has been really well looked after. When messaging me just explain a little bit about yourself and where you are going. I want people to respect this motorhome as their own. We had a really fun trip with this camper. Mishline is in many ways how Australian people are in general. Very nice, very friendly and extremely helpful. 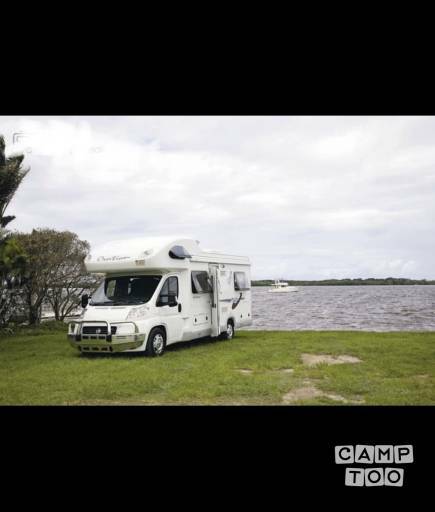 It took a bit of time to learn about all the functions of the camper and its devices (there are a lot of nice things in the camper), but once we found it, it was nice camper and the driving is easy (good vehicle to drive with). i can for sure recommend this camper and Mishline is always there to answer any question at any time. A word of advice: if you use it during holiday season and you want a powered camping site, you should book in advance. They are very popular and quickly fully booked. Thank you Mishline for the nice holiday. You can pick up the camper in Telopea at Mishline's place.